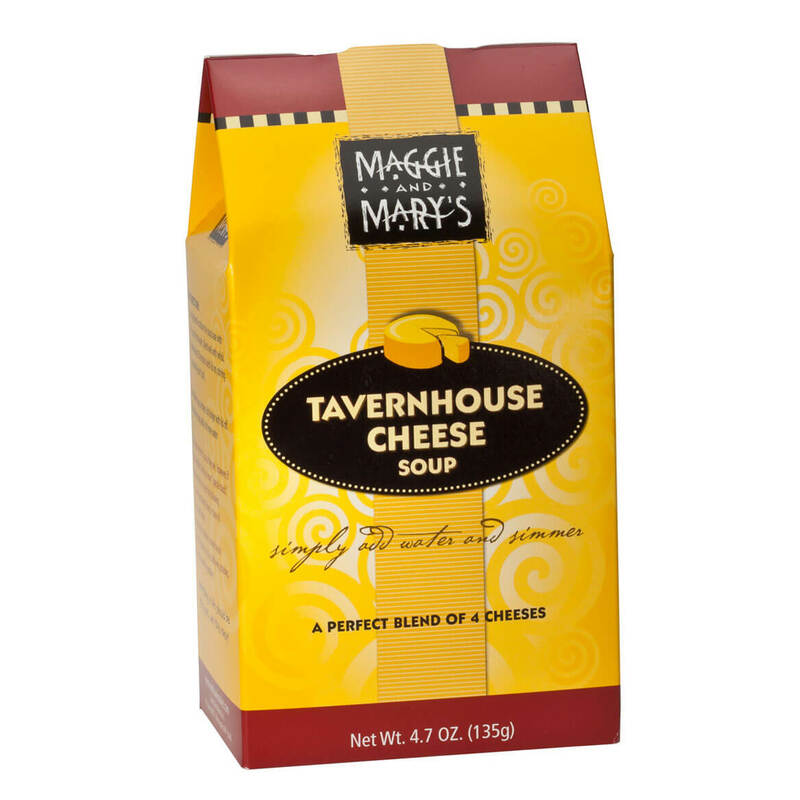 Made by a small company who offers specialty foods that are easy, complete and DELICIOUS, this gourmet Tavernhouse Cheese soup mix will change your mind about using a mix! 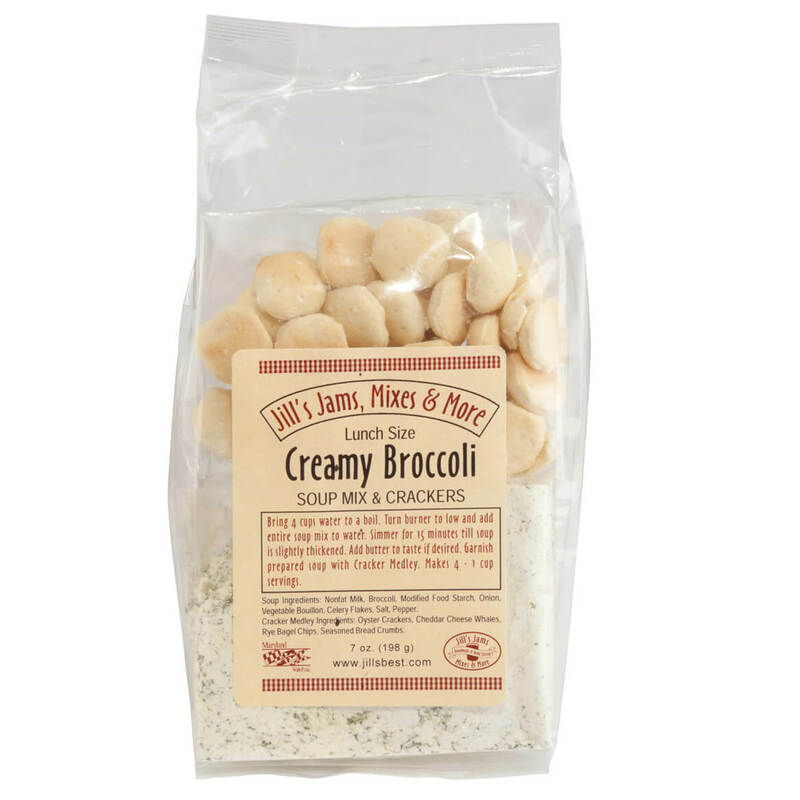 Tasty enough for guests, this creamy, cheesy doesn’t have that powdered, processed taste to give away your secret. In your first comforting spoonful you’ll discover the perfect blend of four cheeses: cheddar, romano, parmesan, and even a touch of blue. Just add water and enjoy as it is, or add broccoli or cauliflower for a little fun. Be prepared to serve seconds; we suggest making a double batch. 5.75 oz. ; serves 5. 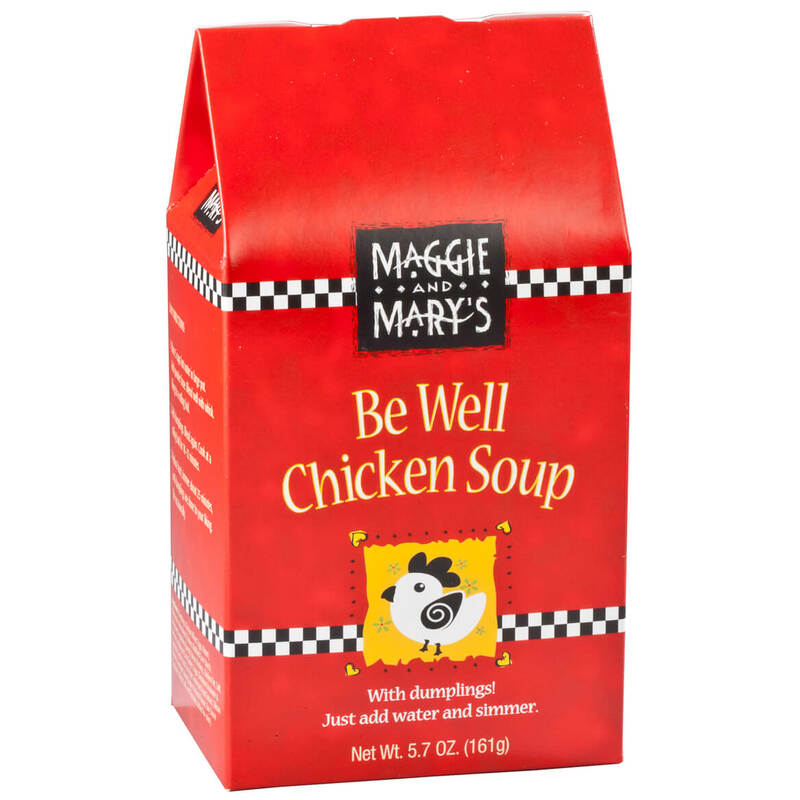 Made by a small company who offers specialty foods that are easy, complete and DELICIOUS, this gourmet soup will change your mind about using a mix! 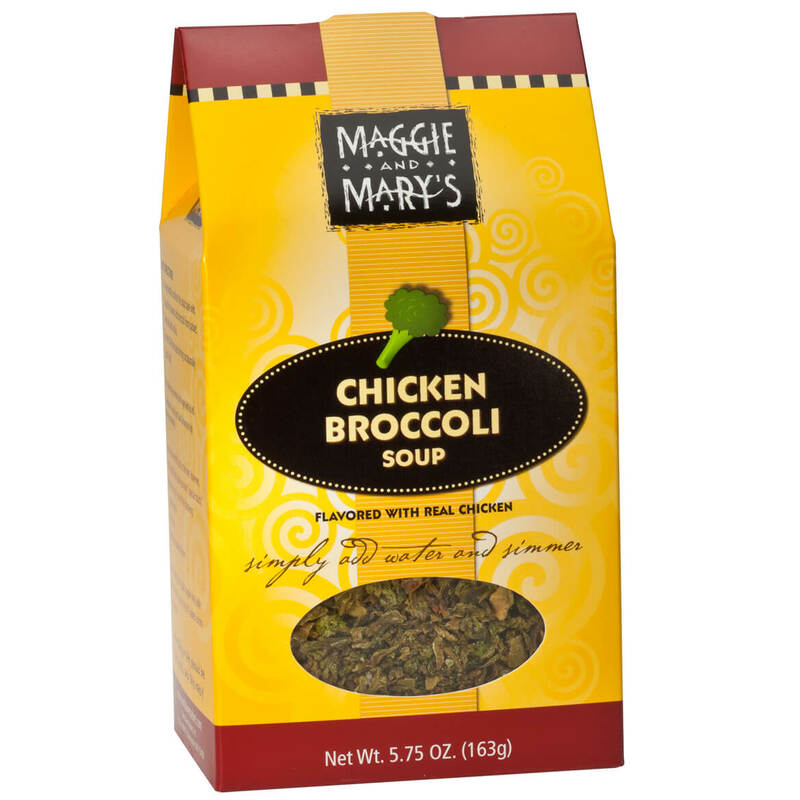 No powdered, processed taste here … the smooth, creamy chicken soup features sweet broccoli bursting with “fresh from the garden” flavor. A quick, comforting meal on its own, it’s also delicious served atop a baked potato. Add cheese if you like, but we don’t think it’s needed. Just add water and enjoy! 5.75 oz. ; serves 5. For homemade soup without the work, just add water, simmer, and enjoy! Gourmet mixes include everything needed forcomforting, full-flavored goodness in minutes. Add meat or veggies for an extra-hearty meal. Each serves 5. 5 oz. For homemade soup without the work, just add water, simmer, and enjoy! 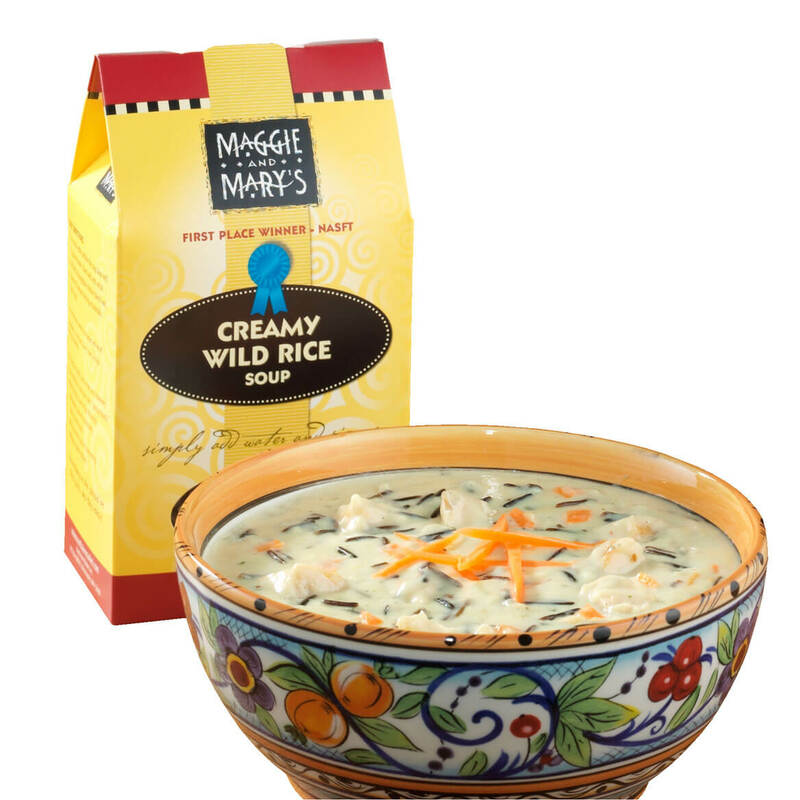 Gourmet creamy wild rice soup mix includes everything needed for comforting, full-flavored goodness in minutes. Add meat or veggies for an extra-hearty meal. Each dry soup mix serves 5. 6 oz. 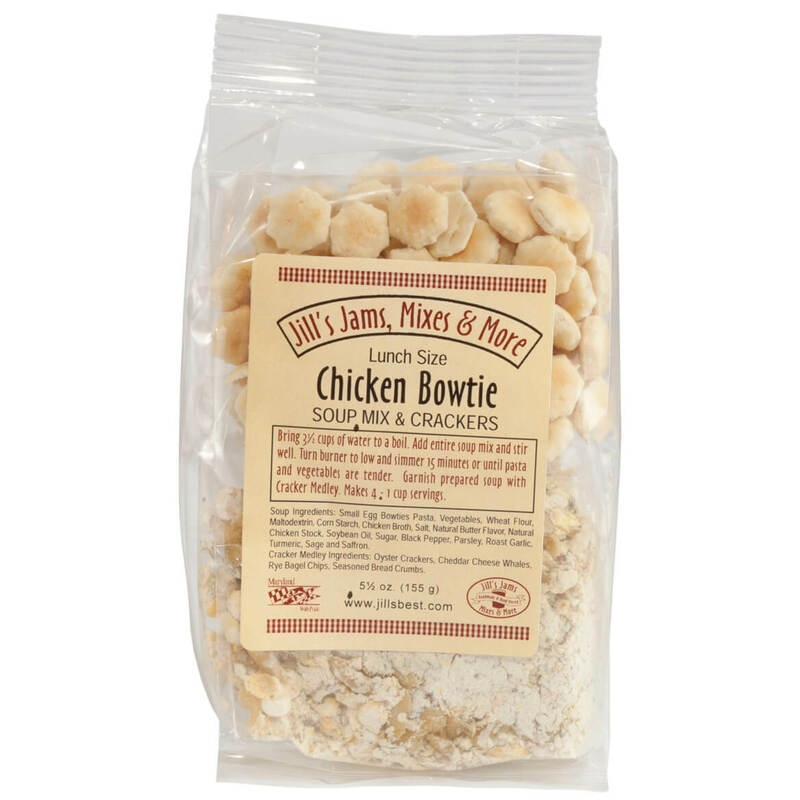 Hot, hearty, Luncheon Chicken Bowtie Soup Mix and Crackers is ready in minutes with savory soup mixes, complete with tasty crackers. Simply add water and enjoy! Each dry soup mix makes four 1-cup servings. 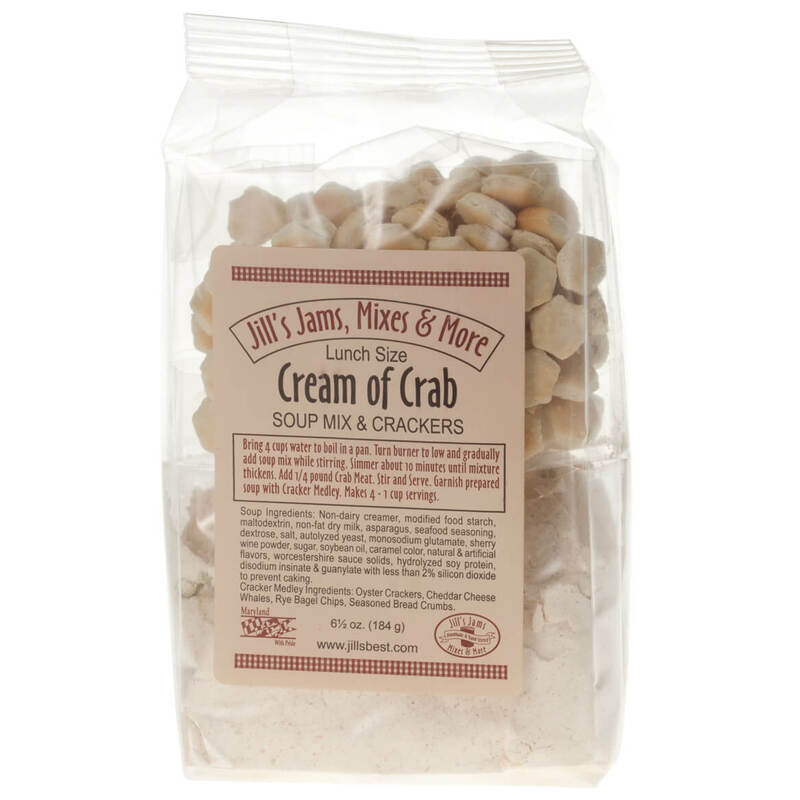 Enjoy Maryland-style cream of crab soup in minutes! Inspired by meals made in her mother’s own kitchen, this easy gourmet soup mix is made the old-fashioned way—hand mixed, brimming with fresh spices, rich, creamy and incredibly delicious. Simply add water and crab meat; a gourmet cracker medley is included for a crunchy, flavorful garnish to this comforting crab feast! 6.5 oz. lunch size yields 4 servings (1 cup each). 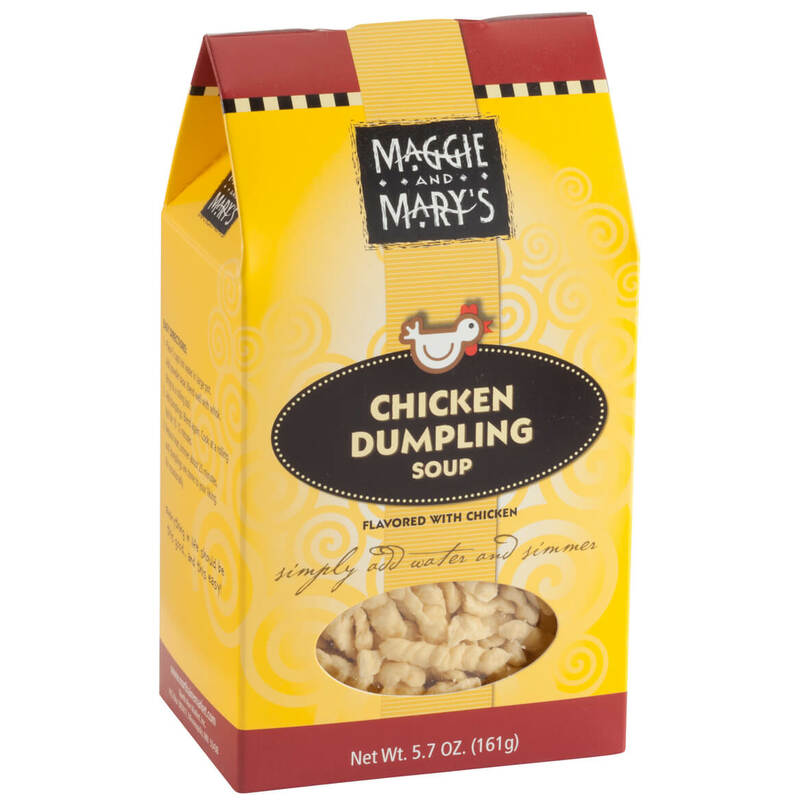 Lovingly prepared right down to the dumplings, Be Well chicken soup offers warm, homemade comfort without the work. Simply add water and simmer for a chill-chasing, heart-warming “soup hug” with soothing broth, real chicken pieces, carrots, celery and plump, authentic German dumplings. 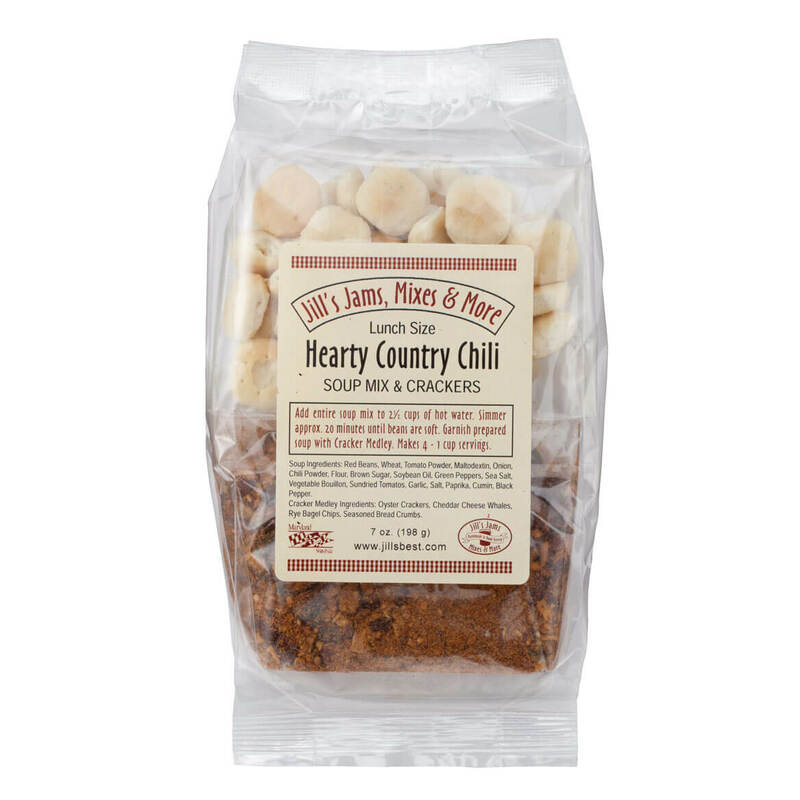 Serving up love with each savory spoonful, this dry soup mix is the ultimate gift of comfort. 5.7 oz. ; serves 5. Hot, hearty, gourmet lunch is ready in minutes with savory soup mixes, complete with tasty crackers. Simply add water and enjoy! Each mix makes four 1-cup servings. 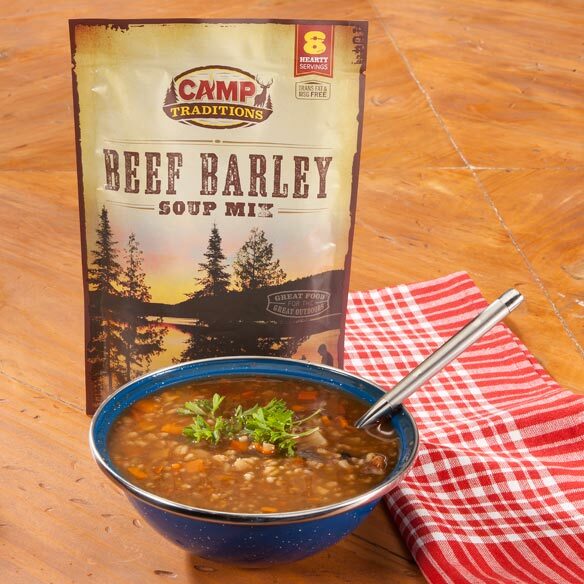 With homemade flavor to warm your heart, this Camp Traditions beef barley soup is full of satisfying flavor, yet simple to prepare … just add water and enjoy! A chill-chasing meal in itself, this dry soup mix is delicious enough for company, easy enough for a quick Saturday lunch, and a thoughtful gourmet gift. 6.8 oz. ; serves 8. Hot, hearty, Luncheon Hearty Chili Mix and Crackers is ready in minutes with savory soup mixes, complete with tasty crackers. Simply add water and enjoy! Each chili mix makes four 1-cup servings.